It feels like my family is racing in a spacecraft through a meteor shower. Sharp turns, near misses and spectacular explosions play out moment by moment, leaving us breathless. And overwhelmed. But God is at work. A lot of people seem to be going through a lot of difficult circumstances right now. But even when things don't make sense to my natural mind, I must choose to believe that God is at work in those circumstances. I want to pray for you this week. Yes, my family is going through it. 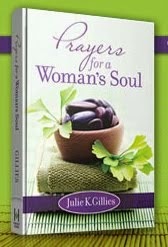 But I want to sow seeds by helping others in need, and the most powerful way I can think of is through prayer. What are you walking through? Leave me a comment and tell me about your situation; then know I will be lifting you up in prayer all week long. 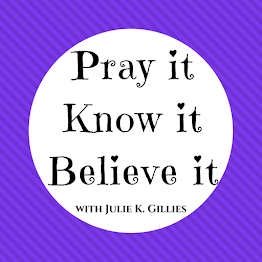 Julie, this week I wrap up a class at a prison. 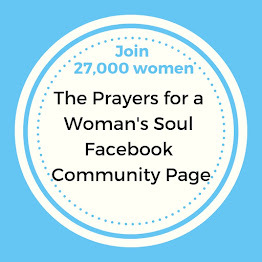 My prayer request is that the women who have completed the course will continue to grow in the Lord. He's done amazing things these past few months. I'm saying a prayer for you, too. Isaiah 43:2. Julie, I'm in a happy but demanding time right now. Our daughter's wedding is July 17, and as you can imagine I have lots to do before then. My mother-in-law (who has ongoing health issues) had a health crisis the first part of June so I'm praying that she can stay stable over the next few weeks. Thanks for offering your prayers! Saying a prayer for you, too! Still need a job down here:)) I'll be praying for you and your family! My daughter's boyfriend leaves on the 14 of July to basic training in the Army. Though he says he knows God and goes to church, we aren't sure about his salvation. to someone else in trouble. What a beautiful post. I so believe in the power of prayer. I could not face a day without it. I will pray for you and your family. For me, please pray for God's direction in my work, to reach others through my joy of painting. p.s. thank you for stopping by today and your kind comment. Yes, I can certainly relate to being overwhelmed. We're on the verge of losing our house. That's not a problem though. The problem is all the hassles dealing with it. A building is just a material thing. We can find somewhere else to live. Housing is plentiful. Dealing with a mother-in-law who is a real piece of work... I can't even begin to describe that situation. I'm simply tired... I feel the only strength I'm going on is Jesus. Thank You Father God! In Jesus' name, amen. 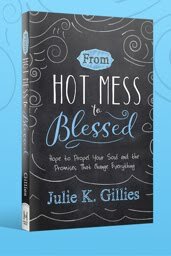 Julie, I loved this entry and am going to read the scripture passages all day. MY husband fractured his hip 6 weeks ago and is showing no improvement. I am frustrated and afraid. He is in pain and we are not sure why. He sees his doc on Thurs. so maybe he can shed a bit of light on it for us. Then of course, is our financial bleed. I am at the end of my rope as to how to deal with no money. I cry every day, out of a feeling of dread. I surely can use the prayer and so can my husband, Clarence. Thank you. I am lifting your family in prayer. What a beautiful post. Thank you, Julie! No matter our circumstances, God answers with Truth in His Word -- as you aptly pointed out. You asked for prayer requests. And yes, oh yes, I have one! Our church is in a time of transition that is, at once, painful and exciting. Pray that we follow God's leading, rather than moving ahead of Him. P.S. -- I saw on your side rail that you are part of the High Calling Blogs community. I look forward to seeing you around the Network. Goodness I know all about the crazy times we are in. My list of prayer is long. If you think of me, please cover my extended family in prayer. There is health issues and other hardships. I can't fix them, but I can pray for God to come and comfort and heal hearts. Thanks for caring. I'm praying for you and yours now. I loved finding your blog tonight. Your transparency is refreshing and your love and devotion to God is evident. I am hppy to meet you and to become a sister.